As some of you may or may not know, the talented Mike Meador of Coffee Break Design passed away unexpectedly on October 21st. Mike was a dear friend of mine and someone I truly looked up to. 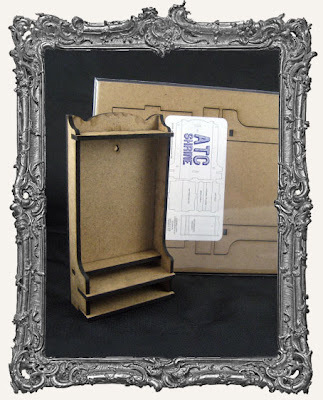 I have been selling his amazing products on my website, Retro Café Art Gallery, for several years, and Mike and I talked on several occasions about me buying his company if he ever retired. Of course, his passing was very devastating to say the least, but my sentiment remained the same. 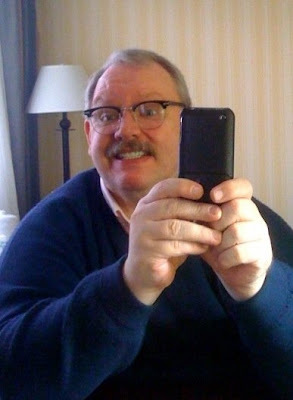 If you had the pleasure of meeting Mike, an extraordinary human being, consider yourself lucky. I know I am a better person for having known him, and I will miss him every day. It is my honor and privilege to announce that I have purchased the company, and I am the official new owner of Coffee Break Design, Inc. We are currently in the process of moving everything and hope that things will be fully up and running again by the end December. 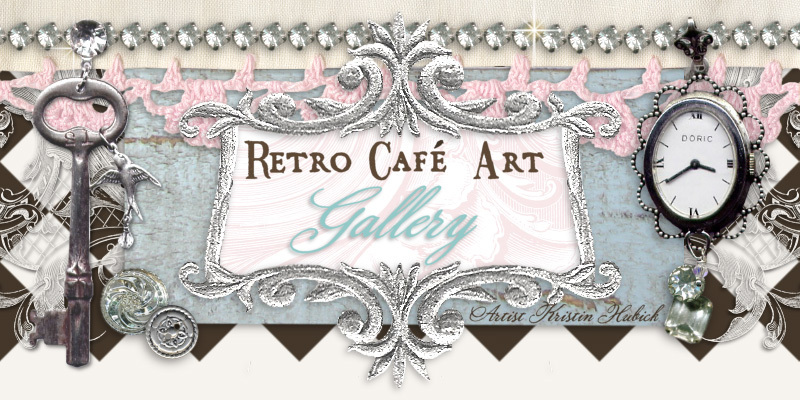 For shop owners, there will be a brand new wholesale website and of course anyone can continue to buy products retail at http://www.retrocafeart.com/. 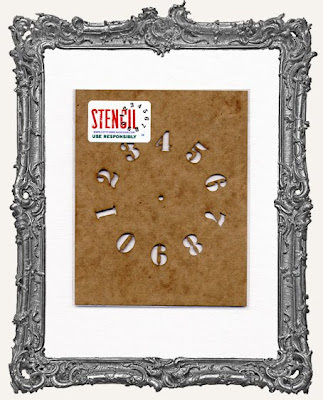 Many of the Coffee Break Design products can be found under the categories Shrine Kits and Stencils. This next part is huge for me – I have put in my notice at my full-time job as a therapist, and will be done in 2 weeks! This part is both scary and exciting, but much more exciting. I will also continue my jewelry endeavors, participating in several art/craft shows per year. So for 2011 it will be all art, all of the time. To all my readers and customers, THANK YOU for your continued support. None of this would be possible without you. I’m looking forward to this new adventure and I hope I can make Mike and his wife Chris proud! 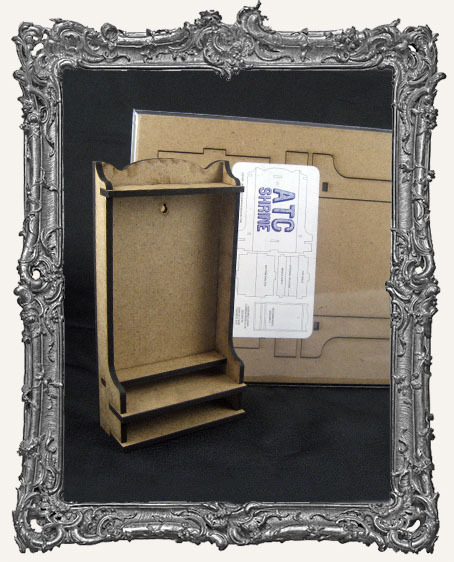 All of the Black Friday orders placed thus far are already out the door! Keep em' comin'! See below for details! Christmas is just around the corner, and Christmas crafting is here! 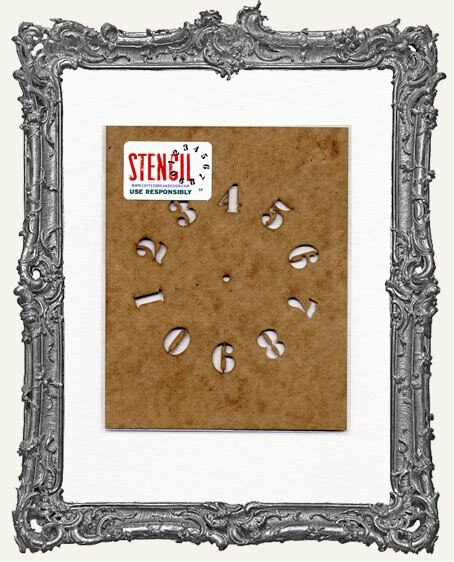 Here are a few of my favorite Retro Cafe Art Gallery holiday products. 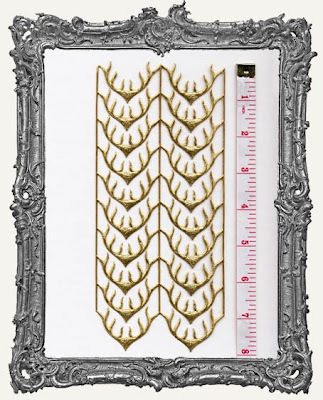 Festive German Dresden such as these wonderful antlers! 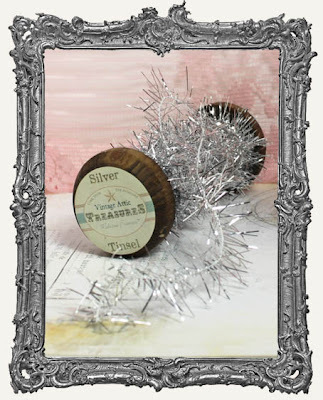 Melissa Frances vintage inspired silver tinsel! 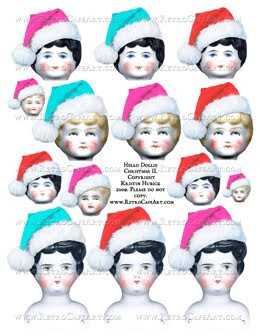 And of course my favorite Hello Dollie Christmas Collage Sheets available in digital and paper formats! 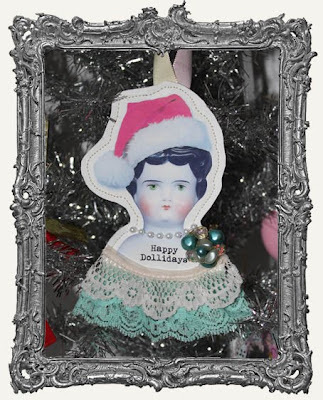 Here is an ornament I made with this sheet printed on fabric (fabric collage sheets are available in the shop! ).